I went to Emporium shopping mall to have lunch last Tuesday. Because of the state of emergency and Songkran water festival, there were no street vendors on Soi Rangnam, where I live. 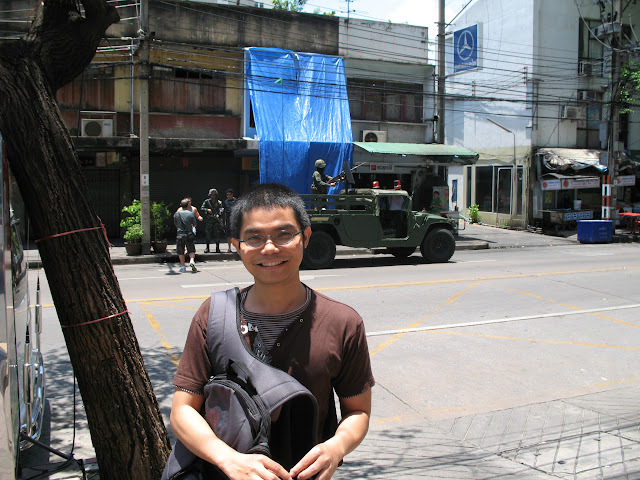 There were some soldiers and a military jeep on Soi Rangnam. Here is a picture I took on my way back from lunch.